It seems as if Monica Glass was always destined to become one of the best pastry chefs in the country given her oeuvre with some of the preeminent Northeast kitchens and chefs. 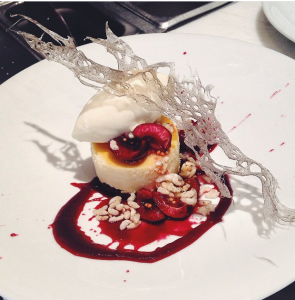 After starting one career as a public relations executive, she transitioned into a more creative profession to become an award-winning pastry chef. Her first job was at the Gotham Bar & Grill, which has long been one of Manhattan’s top restaurants. She started off in an apprenticeship under Deborah Racicot and ultimately wound up working beside her. 10 Arts Lounge, Ritz Carlton. Courtesy of Ritz Carlton. Her next station was under Executive Pastry Chef Michael Laiskonis at Manhattan’s world-renowned and Michelin-starred Le Bernardin. 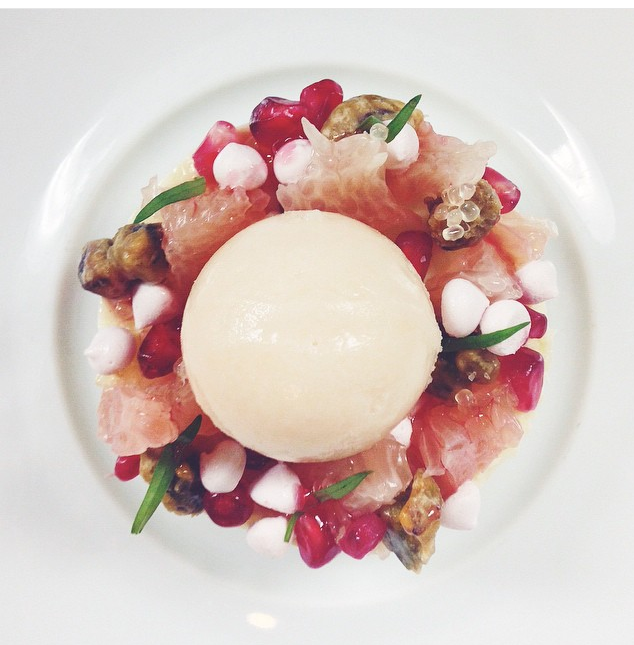 Owned and operated by famed Chef Eric Ripert, Glass worked at perfecting her craft under these masters. Ripert seized the aspiring Glass to work directly with him at the opening of his restaurant 10 Arts at Philadelphia’s Ritz Carlton — that’s icing on the cake for someone who deals in confectionaries. 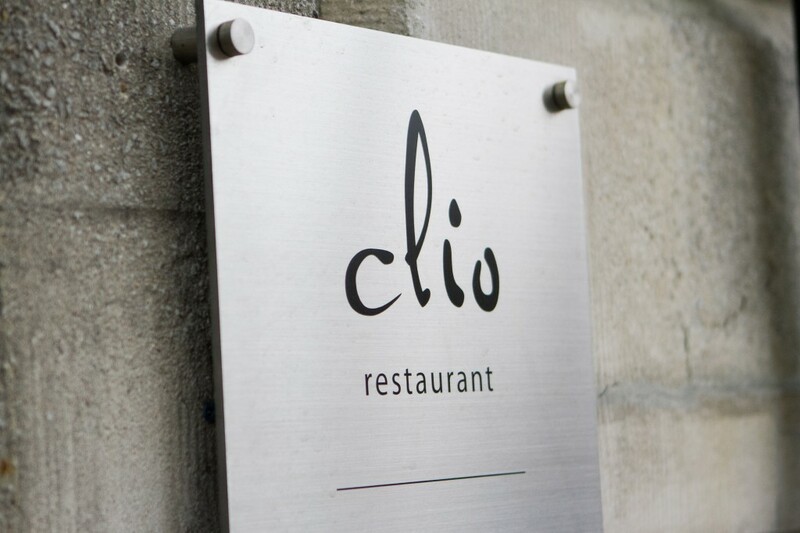 Glass took on new challenges in the fall of 2012 — professionally and personally — by moving to Boston to take on the role of Pastry Chef at the award-winning Clio Restaurant. The flagship restaurant of Ken Oringer and his famed use of avant-garde ingredients, tools and instruments, gave Glass the opportunity and ability to grow her knowledge of the pastry arts. 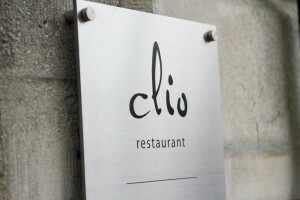 At Clio, Glass created desserts that told a story and that served as a seamless finishes started by Clio’s savory meals. In 2013, she was awarded, by Food & Wine Magazine editors as one of five Best New Pastry Chefs for her delicious endeavors. 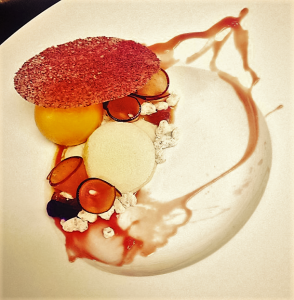 Glass is now back in the City of Brotherly Love working as the Corporate Pastry Chef at Starr Catering. 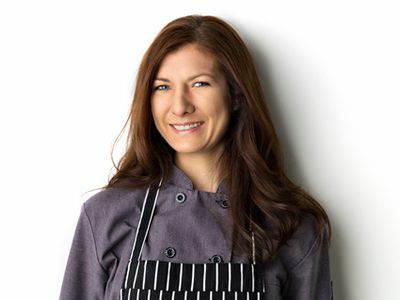 However, it’s a testament to her ongoing pursuit of culinary challenges and Glass’s own personal battle with a gluten allergy to create a broader menu of gluten-free morsels. Indeed, it seems that catering to others with celiac disease, the youthful pastry queen can experiment with an indulgent assortment of non-wheat sweets. We don’t care just as long as she never stops creating edible indulgences. How long have you been cooking? 10 years professionally, a lifetime for fun. What is your favorite food to cook? Ice cream. What do you cook at home? Not much for just myself — eggs, smoothies, cereal. But I love to entertain and have people over for a nice dinner and wine! However, the oven at my new apartment doesn’t even fit a half sheet pan! What marked characteristic do you love in a customer? Glee! Giddiness over good food… excitement! What marked characteristic do you find unappealing in a customer? Rude, short-patience, assuming, condescending. Your favorite kitchen tool? My hands. Baby offset. Your favorite ingredient? Hmmmm…. so many! Probably cardamom, kaffir lime, finger limes. Your least favorite ingredient? Blood. Least favorite thing to do in a kitchen? Anything to do with fabricating meat; hence I’m in pastry. Favorite types of cuisine to cook? Comfort American, nouvelle, Spanish, French. Beef, chicken, pork or tofu? Depends on what cut! Favorite vegetable? Brussels sprouts. They have to be super crispy though. Chef you most admire? Michael Laiskonis. Food you like the most to eat? Ice cream, peanut butter, French fries, Doritos, Reese’s. Not all together though…that would be gross. Food you dislike the most? I love foie when it’s seared properly but I can’t really do it creamy and cold, like foie torchon or even liver mousses. How many tattoos? And if so, how many are of food? Two tattoos. One is a whisk with the worlds “vis ta vie” wrapped around it. For my mother. Favorite Apple Crisp Recipe by Monica Glass. 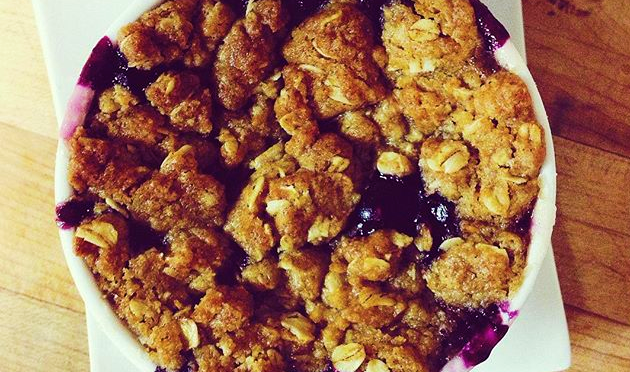 You’ll want to make the streusel topping first. I put gloves on and mix together 75g dark brown sugar, 75g white sugar, 150g flour, a pinch salt/cinnamon/cardamom. Add in 150g melted butter and mix to thoroughly coat. Next, peel 3 each Granny Smith and Honeycrisp apples. Slice each side into two pieces, moving around the pit and seeds. Dice each slice into small cubes. Toss the diced apples with about a half cup of sugar (more or less to your liking and the fruit’s natural sweetness), about two tablespoons of cornstarch, another pinch salt/cinnamon/cardamom and the juice of one lemon. Pile into a buttered ramekin and top with streusel. Preheat oven to 325 and bake until bubbly and browned, about 30-40 minutes. Devour with some ice cream!